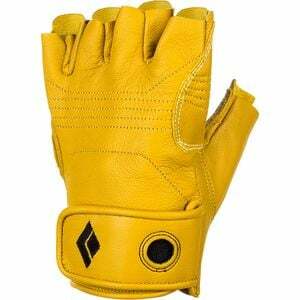 *The left glove has a little loop fraying. Whether you're jugging several hundred feet of fixed lines or simply providing an attentive belay, trust your hands to the Black Diamond Stone Climbing Glove. Reinforced goat leather on the palms gives you a sure grip on the rope while the 3/4-finger design leaves your fingertips free for knots, buckles, and zippers.